Simple and Classy Hotel with Furnished Seating Area. The OYO 7302 DLF Cyber City is located DLF Phase 2, Sector 25, Gurugram. The nearest metro station is Huda Metro Station.The decor is simple yet classy. 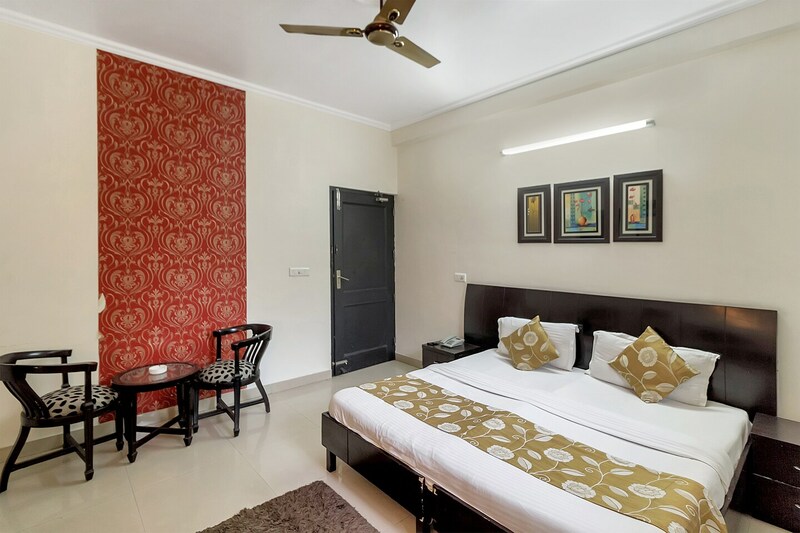 The property is spacious and has a furnished seating area.Each room is equipped with free Wi-Fi, AC, TV,mini-fridge, King-sized bed and geyser. The hotel offers a parking facility and power backup. The hotel accepts card payment and the property is under CCTV surveillance.The People & Co.,Yum Yum Cha, Olive Bistro, Dos Burros, Vipul Agora Mall, JMD Regent Arcade, City Centre Mall, DLF Mega Mall, and JMD Regent Plaza Mall are popular eateries and shopping spaces.